If you want to know the best ways to use networking effectively, then listen as networking expert, Robbie Samuels shares his success strategies. 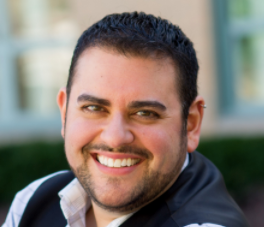 Robbie Samuels has been recognized as a networking expert by Inc and Lifehacker, and has been profiled in “Stand Out: How to Find Your Breakthrough Idea and Build a Following Around It” by Dorie Clark. 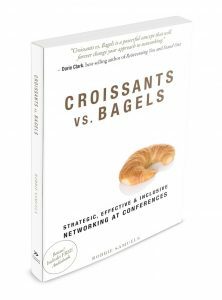 He’s the author of “Croissants vs. Bagels: Strategic, Effective and Inclusive Networking at Conferences.” A professional member of the National Speakers Association. He’s been speaking on the topic of exclusive networking for nearly a decade. While practical and filled with easy to implement action steps his talks are most often described as dynamic, engaging, and funny. He shares fun big ideas. Everyday ideas which are accessible and immediately actionable, and have the power to inspire significant change. Also, tune in to “On the Schmooze.” His weekly podcast on leadership and networking to be inspired by the talented professionals he interviews. Q: Talk to us about some of the negative connotations that are often attached to the word networking. I don’t blame people for having not great feelings about networking. But what they’re missing is that networking isn’t that. It’s actually about building relationships, about building community, about connection. It’s about offering before you ask. Anybody who’s really good at sales knows that. Just ask people who sell. Here’s how to get your copy of Robbie’s 3-page networking guide. To contact Robbie to find out more about his services.